Final Project: [student project] Our class was challenged with building our own URL shorter. 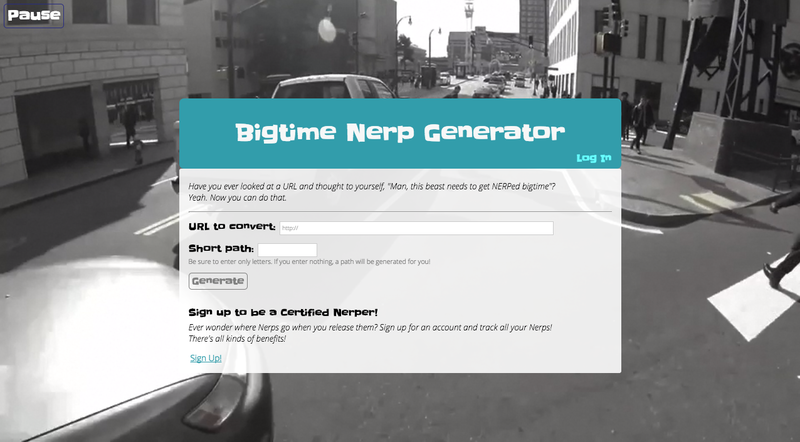 Design Process: I collaborated on the front-end and our intention was to make the site a bit silly; we thus spoofed some of the popular websites by putting a compilation of fail videos as the background. It took quite some time to match everything up but was truly a rewarding process. 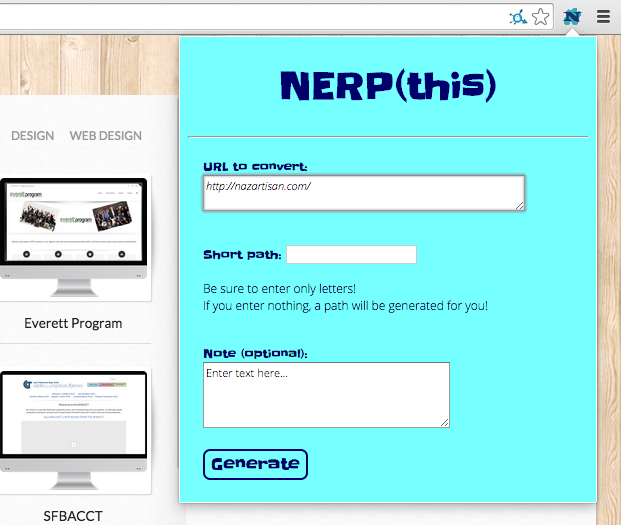 We decided to use the site title and name, “Nerp” as an verb to not only add to the silliness but make the user experience a tad more fun.